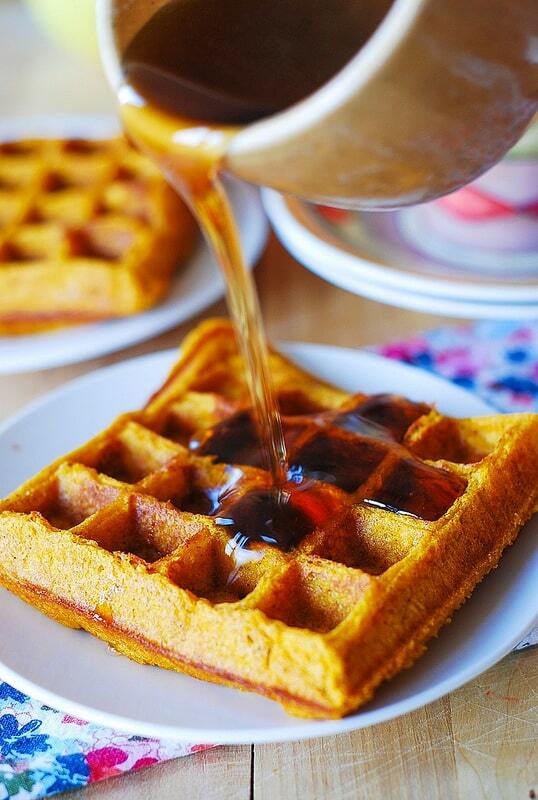 Pumpkin Waffles – perfect Autumn breakfast. The waffles are made with buttermilk, brown sugar, pumpkin puree and spices: ginger, cinnamon, nutmeg. Great recipe to make for Thanksgiving breakfast. It’s a pure comfort! 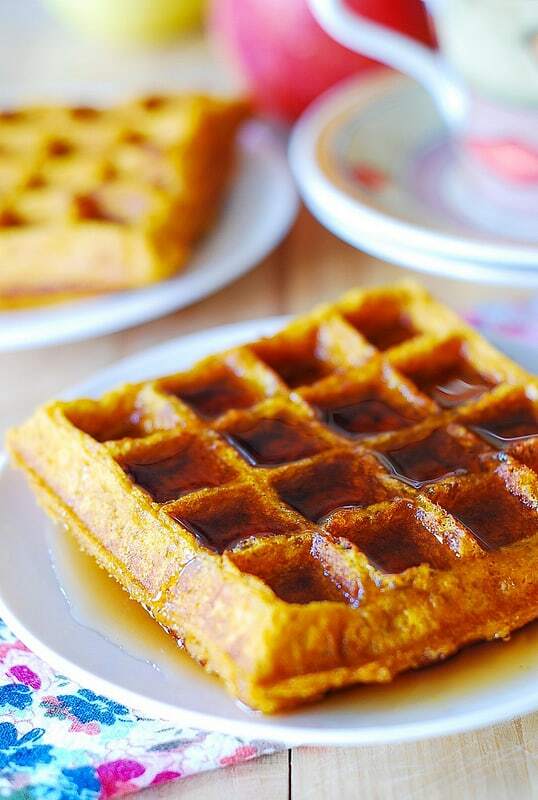 If you love pumpkin, you’re going to love these freshly made pumpkin-buttermilk waffles. These little breakfast treats are full of pumpkin flavor as they are stuffed to the brim with pumpkin puree: I made sure to use as much pumpkin as I could fit into this recipe proportion-wise: 1 cup of pumpkin puree per 1 cup of buttermilk + 1 cup of flour. They are spiced up with all classic Fall flavors: cinnamon, ginger, and nutmeg. I am also using just the right amount of brown sugar: 1/4 cup – not overly sweet but sweet enough to make you feel like you’re eating a slice of pumpkin pie! Top these waffles with REAL maple syrup, or just eat them plain with a cup of slightly sweetened tea or coffee. These are so delicious on their own, they don’t really need any topping. Pumpkin waffles are moister and denser than regular waffles, so they will need a little longer time to cook in a waffle maker. Also, make sure to heat your waffle maker really well and spray it with non-stick spray before pouring the pancake batter. It is also comforting to know that these waffles have quite a few nutrients thanks to 1 cup of pumpkin! 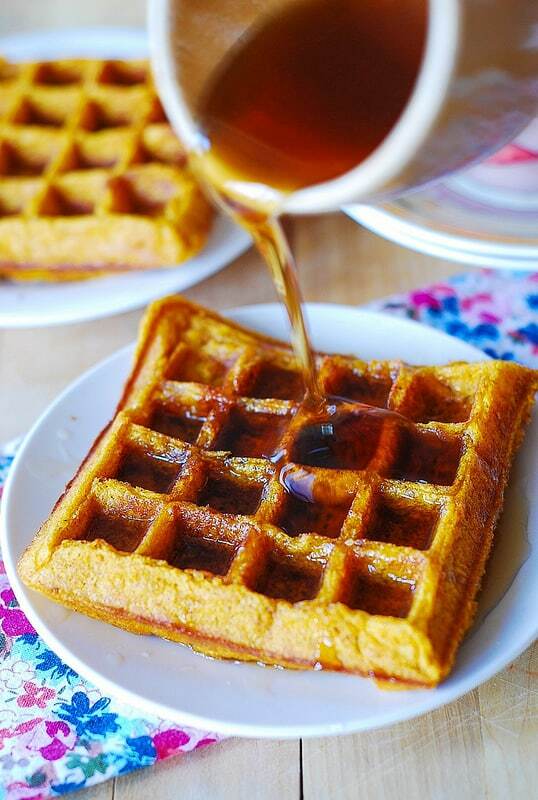 It’s a pretty healthy breakfast if you think about it: 1 cup of pumpkin puree , only 3 tablespoons of butter for 12 waffles. Definitely more nutritious than your regular waffles. Can’t wait to try making these with whole wheat flour. I bet they would come out just as good as these, if not better! 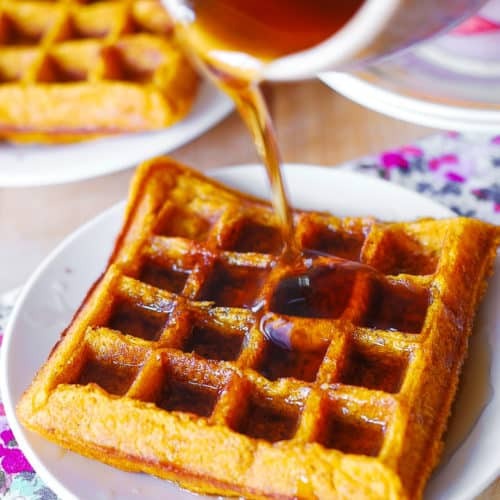 These pumpkin waffles are made with buttermilk, brown sugar, pumpkin puree and spices: ginger, cinnamon, nutmeg. Autumn breakfast recipe. Perfect for Thanksgiving or Christmas breakfast menu. Combine first 5 ingredients (dry ingredients: flour, baking powder, cinnamon, ginger, nutmeg) in a medium bowl and mix thoroughly. Set aside. In a separate bowl, combine the next 5 ingredients (buttermilk, pumpkin, brown sugar, eggs, melted butter) and whisk to combine. Add dry ingredients to wet ingredients and whisk to combine. Preheat waffle iron until it’s very hot. When the waffle iron is very hot, spray it with non-stick spray. Pour just enough pumpkin waffle batter to cover the bottom, and cover with the top portion of waffle iron. Cook for a longer time than your usual regular waffles. Repeat. 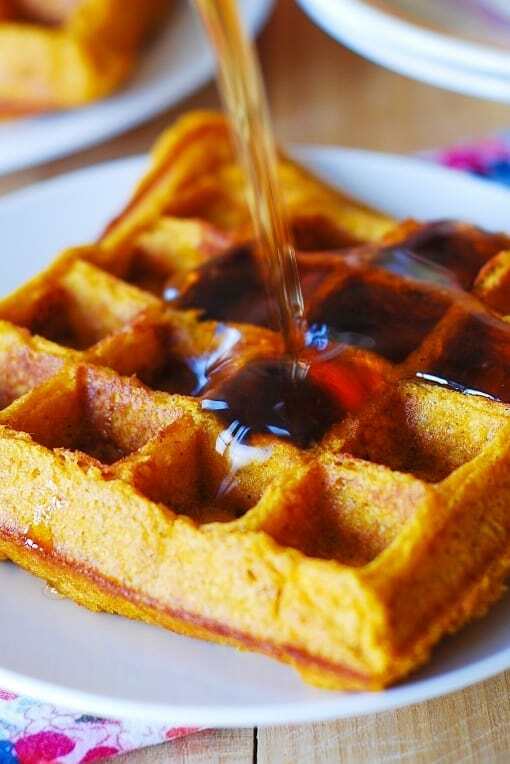 Serve pumpkin waffles with real maple syrup or just eat them plain. Amazingly good! I doubled the recipe, using 1 cup wheat and 1 all purpose flour. Added flaxseed meal and used milk plus lemon juice for the buttermilk. My entire family devoured these!!! 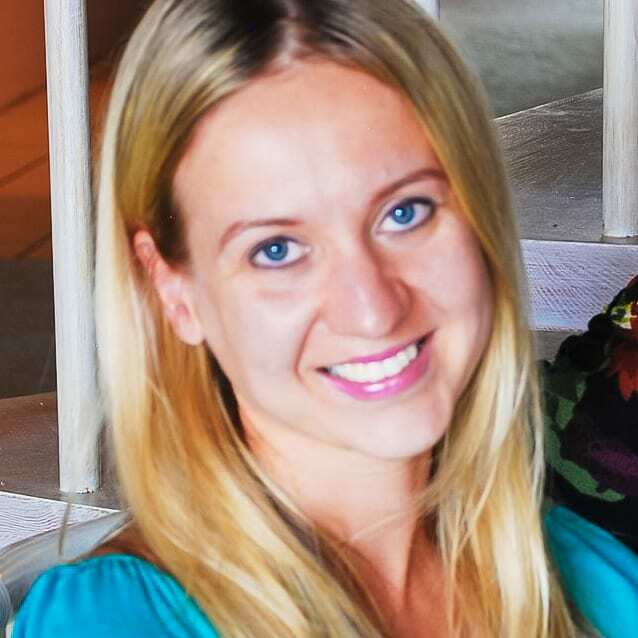 Jill, thank you – glad you liked it! Wheat flour would be perfect in these waffles! Thought I would leave a comment in case I wasn’t the only one, but I couldn’t get these waffles to work for me. I’ve tried them twice and they just won’t cook through. I leave them in long enough that the waffles are almost getting too dark/burnt on the outside and they are still not cooked through on the inside. I tried a different recipe to make sure it wasn’t my waffle iron and had no problems with that recipe. Bummer! I am thinking maybe use more flour next time. Maybe the batter was too thin. I need to make these again to see if I run into a similar issue. Just made these waffles and they are perfect!